Zimbabwe National Road Administration (Zinara) executives, inspired by Zanu PF’s G40 faction, allegedly colluded to embark on a looting spree, in case the party lost the forthcoming general elections. This was revealed by Zinara finance director, Simon Taranhike, who openly shed tears, while giving evidence at the High Court last week, as he narrated the order of events leading to the breakdown of his relationship with his chief executive officer, Nancy Masiiwa. Taranhike said he was tasked by Masiiwa to raise $1,77 billion in four months, as the parastatal had failed to service a $206 million loan over years. The CEO said, while the country was battling economic hardships, Zinara executives were living large, and embarking on foreign-sponsored business trips and shopping sprees. Taranhike told High Court judge, Justice Amie Tsanga that his relationship with Masiiwa had hit rock bottom in 2017, after he allegedly refused to join the G40 faction and was warned he would not make it in life. “I was recruited in May 2016 and Masiiwa was also recruited during the same year. Since we were both new within the organisation, a lot of things started to be unearthed as a result of the audit and I was the supplier of the information to the audit team,” Taranhike said. 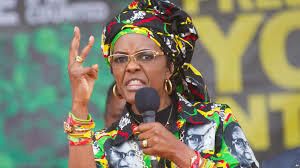 The chief finance officer said he remembered sometime last year former Zinara board chairperson, Albert Mugabe invited him and Masiiwa to Meikles Hotel, where he told them they would be “untouchable people in Zimbabwe” if they obeyed and listened to his instructions. “He then took us to South Africa where he made us signatories to an FNB Bank account and introduced us as his untouchables. When we came back, the CEO demonstrated a lot of power and she would treat her subordinates as if they were nothing. It was apparent that the two of us were being made to remove the old team,” he said. However, Taranhike said he decided to go against Mugabe and, together with Masiiwa, proceeded to carry out their official business and that is when they discovered that “out of the $60m per year payment that was supposed to be paid to service the $206m loan, only $20m had gone through”. “From the time we left DBSA, we could not talk to the chair until we got to Harare,” he said, adding they later proceeded to inform Transport minister Joram Gumbo of what they had experienced and he warned them of the rot at Zinara. Taranhike said just after three hours after their meeting with Gumbo, he received a call from South Africa from a person who warned him that he had joined the wrong camp. “Mugabe also openly told me that I had joined a wrong camp. After three months, the CEO came to me and asked me which camp I had joined. She invited me to a funeral of the late professor [Primrose] Kurasha, where she wanted me to meet Saviour Kasukuwere,” he said. “She also indicated to me that I was not clever and that between now (April last year) and the general elections, many things would happen. Taranhike is jointly charged with four other Zinara top executives, who are facing allegations of criminal abuse of office, involving $2 940 588, which they sourced on the parallel market through bogus companies.